The SmartHalo — an iPhone-compatible bicycle accessory, aimed at navigation, fitness, and safety — is now available through Apple's web and brick-and-mortar stores across the U.S. and Canada. 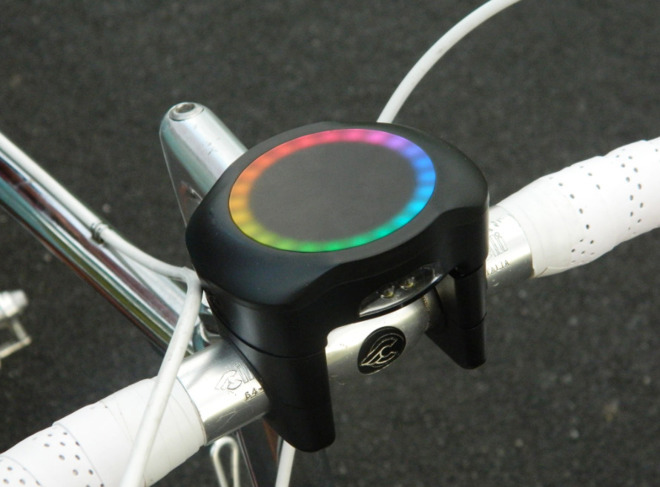 The device locks to a bike's handlebar, and communicates with a dedicated app via Bluetooth 4.0. Its signature ring light tells riders how to get to a selected destination via either turn-by-turn or compass-style modes. During trips, a blue dot illuminates for incoming phone calls, while a front light turns on and off automatically based on the time of day and when the SmartHalo detects a trip is in progress. 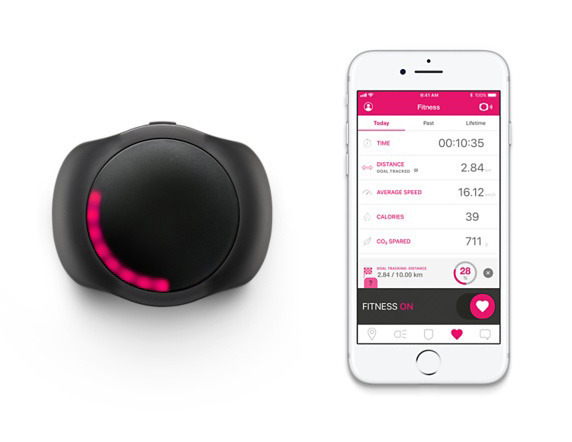 The product also records fitness data such as estimated calories burned, syncing with Apple's Health app. For security, the device can only be detached using a special key, and will sound an alarm if it detects possible tampering. SmartHalo is in fact built to be left on a bike semi-permanently. This includes weatherproof housing and a three-week battery, assuming one hour of riding every day. To recharge, however, it must be unlocked and connected to USB. Apple is selling the SmartHalo for $149.95. Compatible iPhones range back to the iPhone 4S. Stay tuned for AppleInsider's full review.